← It’s official. I. Love. Apple. Ode to the iPhone 5. Arbitrage. Avarice, greed and death. Go see this movie. Friday night was date night with wifey. She said something about dinner and a movie in Montcleezy, and I was like ‘cool’. So she picked me up from the Bay Street station and we headed over to Clairidge Cinemas for the 7:20 pm showing of Arbitrage. I had never heard of the movie, but it had Richard Gere, Susan Sarandon and some Victoria Secrets model (Laetitia Casta). That was enough for me, and I had high hopes for this movie I had never heard of before. 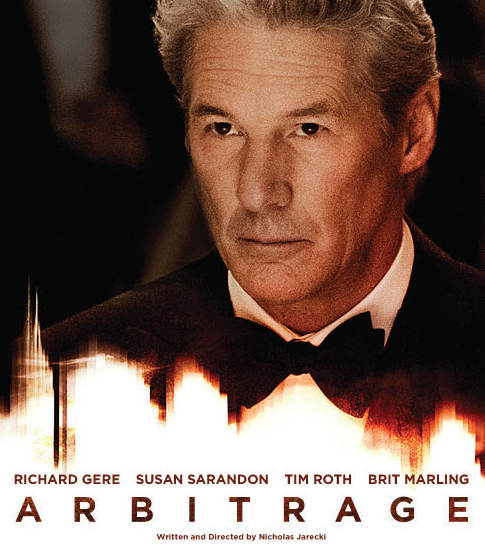 Arbitrage is a thriller that focuses on one man’s greed and attempts to avoid the dire consequences of his actions. The film is remarkably well done, as I was literally on the edge of my seat agonizing over the fate of Richard Gere. Although his character is totally crummy, you can’t help but sympathize for him. I was secretly rooting for him, throughout the movie, even though I thought he was despicable. Whether it was his daughter, wife, mistress, business partners or friends, Gere’s character puts himself above them all. This was originally going to be a post with a ‘spoiler alert’ but I didn’t want to ruin it for anyone who might be interested in seeing it. So I’ll leave you with this trailer instead.